It is the story of one person who was bullied for three years. 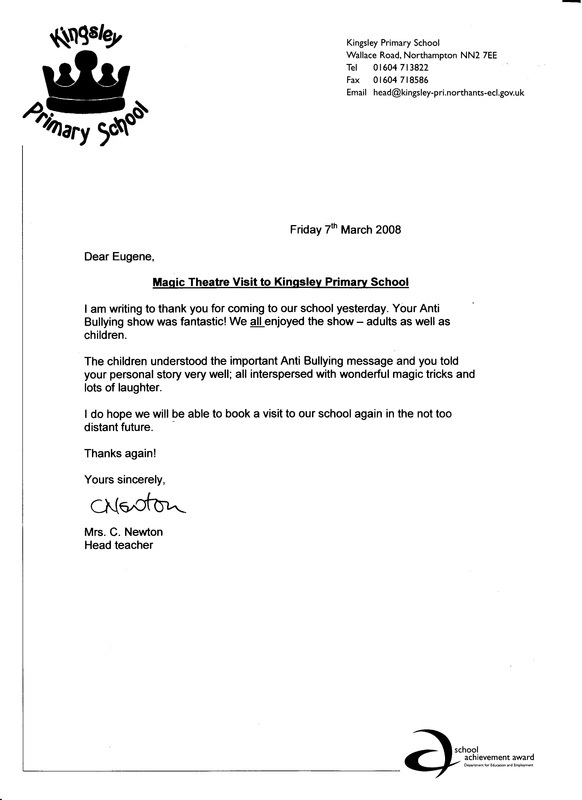 It gives the children an understanding of BULLYING through their eyes. The show does not just say 'Speak to an Adult', it explains the reasons why and how to speak to an adult. Most importantly it encourages those being bullied to ask a friend to help them with 'The Hand of Friendship'. This educational show establishes exactly "WHAT BULLYING IS", our performers then takes the children right through the experiences of being bullied from beginning to end. What do they do when they bully? How do the children think the person being bullied feels? NEW, for this year the show features Cyber Bullying, explaining what Cyber Bullying is and what you have to do to stop it. For once Peer pressure works for us as it is the older children who answer the questions on bullying which feeds the information to the younger ones. The pupils get an insight into why the person being bullied did not tell anyone. Having talked about being bullied, our performers explain what happened to stop the bullying and passes on messages about what everyone has to do if they ever find yourself in a similar situation. You Are Not Alone / It’s Not Your Fault / You Cannot Sort It Out By Yourself / It Could Be You Next Time / You Don't Have To Put Up With It / If You Don’t Talk It Won't Go Away / Get Help Today. This educational show has been an outstanding success and is an excellent way to introduce an Anti-Bullying programme into your school, it can be used as part of a transition programme for Yr 6 to Upper School. All our shows are is designed for Key Stage 1 & 2. PLEASE NOTE - Anti-Bullying week gets booked up by September. 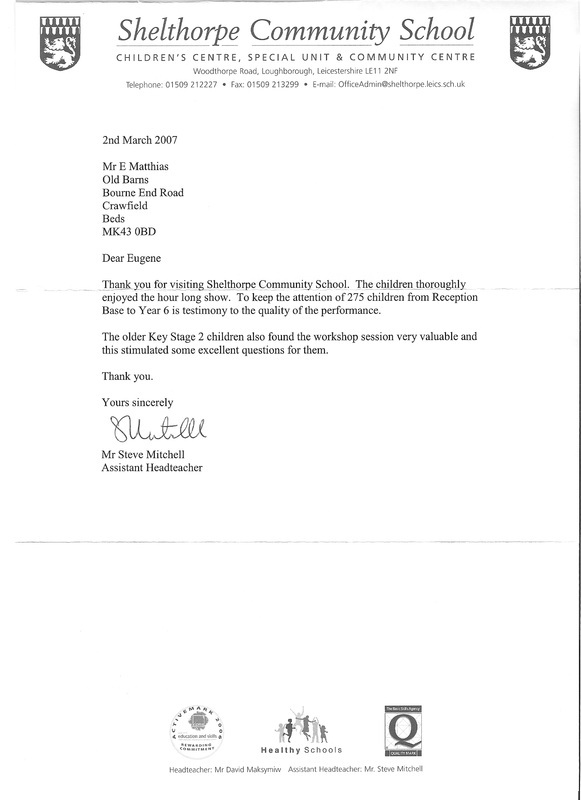 Recommendation Letters for education shows and workshop. The children and staff really enjoyed the Anti-bullying Cyber Magic Show yesterday. The feed back was so positive that our headteacher has said we can book the E-Safety show for February. We wondered if you had a slot free for an afternoon performance the week beginning the 9th February 2015. Once again you delivered such an important Anti-Bullying message to our children in a fun packed hour for us yesterday in school! The children (and staff) were buzzing! Please can we book the Healthy Living show on Monday 16th March in the afternoon? Many thanks again for a fantastic show today. It was thoroughly enjoyed by everyone who saw it. The children were still buzzing later on as they were doing follow up activities!